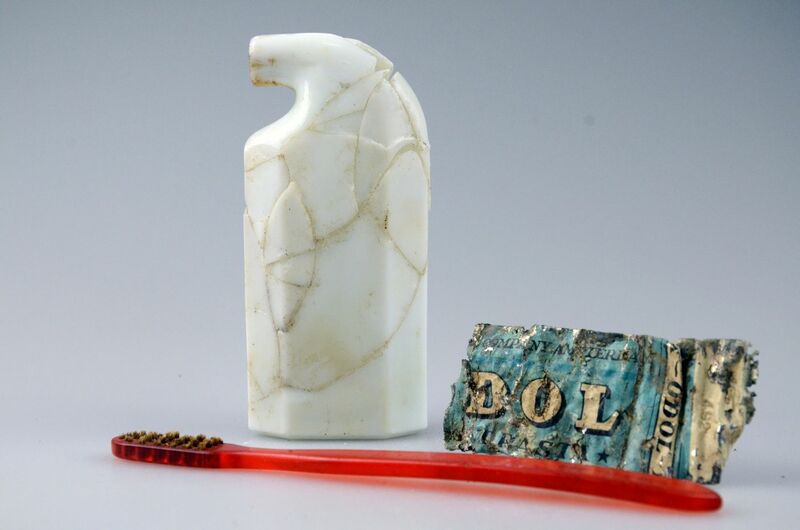 A substantial part of the collections discovered during archaeological excavations in Sobibór is constituted by everyday objects, including residues from personal hygiene products such as: toothbrushes, empty tubes of toothpaste or shaving cream and the like. 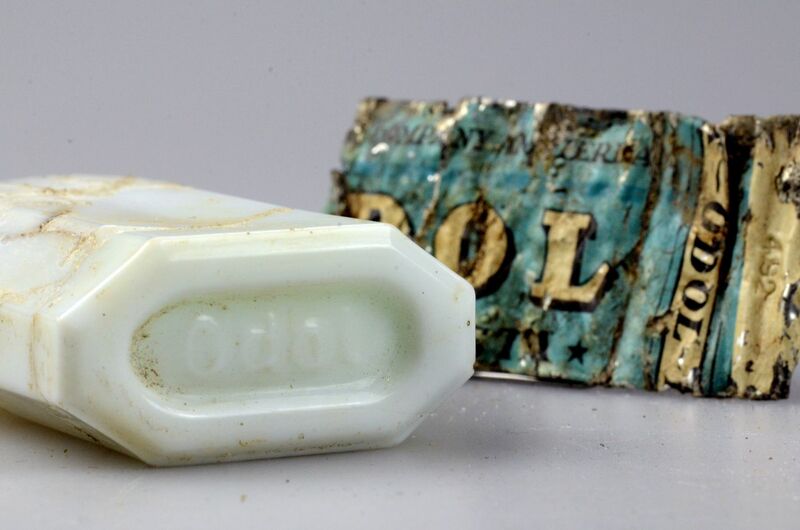 Amongst the objects found, there is a packaging of mouthwash called “ODOL” which has been popular since the beginning of the 20th century up to this day. 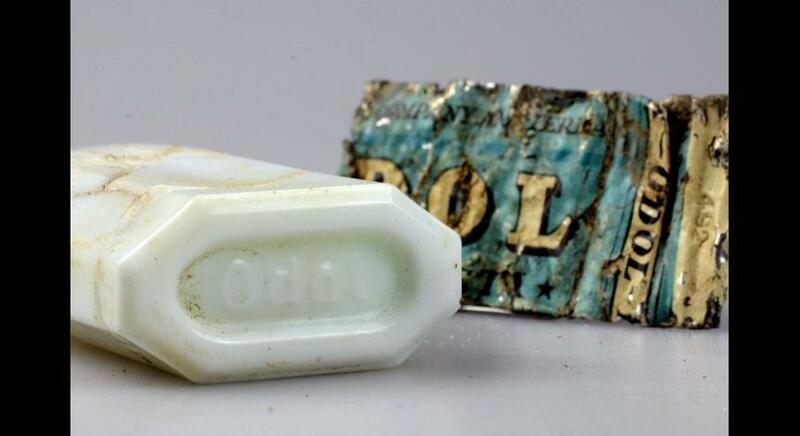 The mouthwash was sold in a small, octagonal, white glass bottle with a characteristically curved neck at the end and raised inscription of the brand name ”ODOL” on its bottom. The name of the product combines two words, namely the Greek one “odoús” (tooth) and the Latin “oleum” (oil). The originator of this oral hygiene product approved at that time was German Karl August Lingner. Lingner started to manufacture preparations for oral hygiene at the end of the 19th century which, just three decades later, were commonly used in a dozen different countries. The innovative product brought Lingner fame and money. He even hired a famous German symbolist and painter Franz von Stuck and an Italian composer Giacomo Puccini who composed an ode dedicated to ,,Odol” (,,Odol-Ode”) to promote the mouthwash. 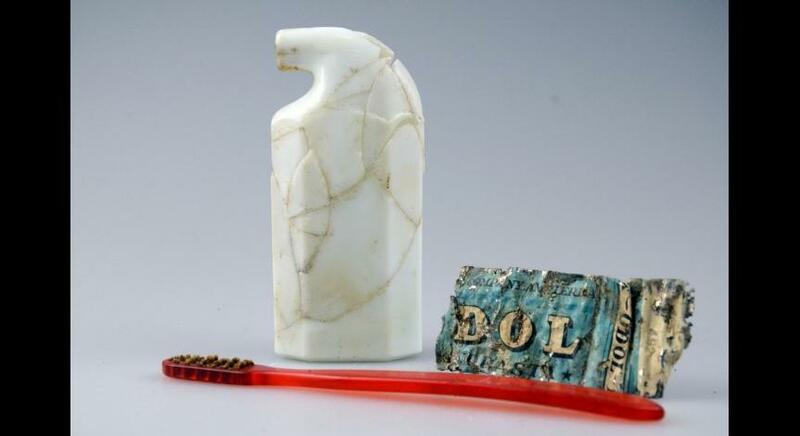 Besides the mouthwash, the Lingner's company also produced other preparations, including toothpastes, thus a fragment of an aluminium tube with a blue-white label can be seen in the collections of our Museum.